I did this sketch (and a few others) last night in the dark, I think I’ma try to colour it later. 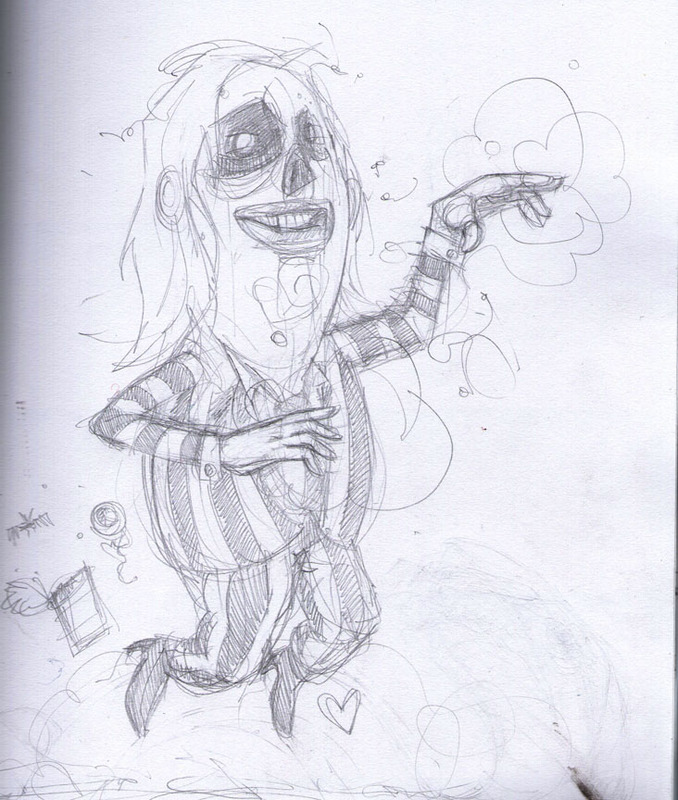 Beetlejuice is, after all, like my favourite thing ever. I also found out that my friend has a scanner… which is news to me! Also, very useful. Check out the sketch page to see the couple other ones I put up. ALSO! Don’t fret, I’ve almost finished page 3 of my first full colour short. Huzzah!